Whoa. Hey spill the beans! What's inside the box? Geez i wish it was mine mate. 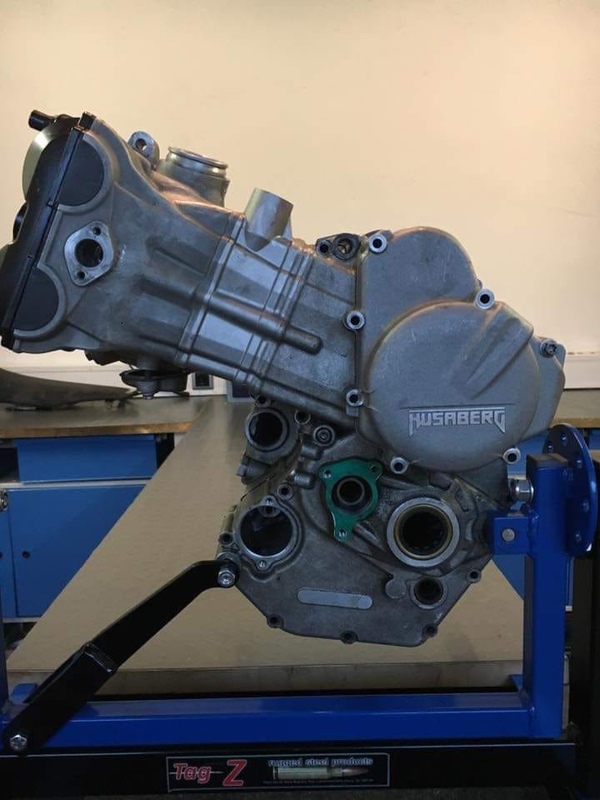 Apparently it belongs to a mechanic who worked at Husaberg. Apparently it has been very reliable. Im pushing for more info. The barrel looks to be extended over a 570 barrel obviously to accommodate a longer rod. Ill post a pic of my 104mm barrel. Looking further at his engine, maybe the barrel hasnt been extended. But then how does he get 11,000rpm? It was mentioned it is different at the rod. Superlight rod from exotic materials? It wouldnt be so much lightness but more length to reduce rod angle. What 104mm piston is he using? Couldnt be the CP anchor surely? Longer rod with a piston with a smaller pin height?